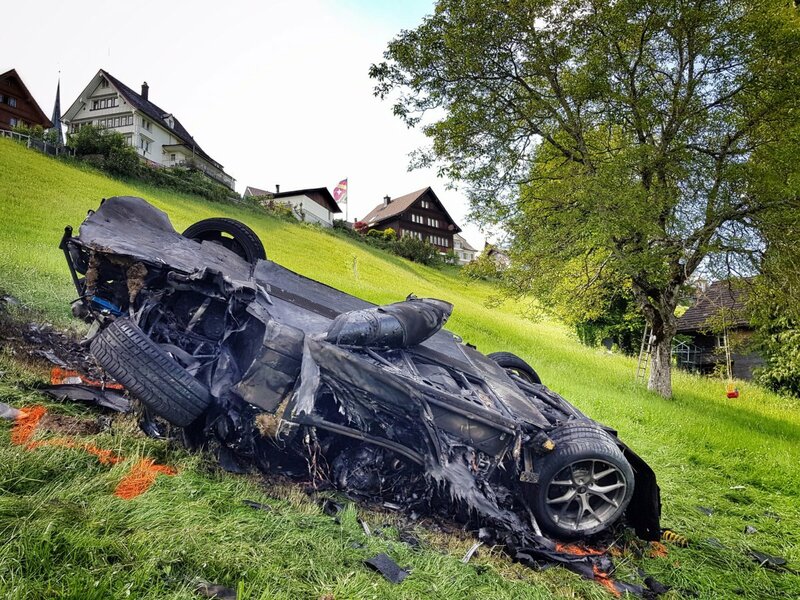 "Richard Hammond was involved in a serious crash after completing the Hemberg Hill Climb in Switzerland in a Rimac Concept One, an electric super car built in Croatia, during filming for 'The Grand Tour' Season 2 on Amazon Prime, but very fortunately suffered no serious injury," "The Grand Tour" said in a statement Saturday. "Richard was conscious and talking, and climbed out of the car himself before the vehicle burst into flames. He was flown by Air Ambulance to hospital in St. Gallen to be checked over, revealing a fracture to his knee." The cause of the wreck was under investigation. Hammond tweeted a video of himself in a hospital bed with his knee elevated. Showing X-rays of his injury, he assured fans his doctors are planning to give him a "Swiss Army knee" and he hopes to be on the mend soon. Hammond also thanked all of the medical professionals who took care of him, as well as his co-star, James May, who Hammond said smuggled a bottle of gin into the hospital for him. The patient also apologized to his wife and daughters for being "such a colossal..." His mea culpa was interrupted by May, who held up the book The Idiot Brain in front of the camera. "Yeah, alright, thanks, James, thank you," Hammond laughed. "More news later." Hammond, May and Jeremy Clarkson starred in the BBC's car docu-series "Top Gear" for years and are now working on Season 2 of Amazon's similarly themed "The Grand Tour." "It was the biggest crash I've ever seen and the most frightening but incredibly, and thankfully, Richard seems to be mostly OK," Clarkson tweeted about this weekend's mishap. 'Bachelor in Paradise' production suspended over "allegations of misconduct"